MZ - I Say Ding Dong Shop - Buy Stickers, Decals & Unique Automobilia. MZ Cafe Racer with Pudding Basin Helmet Sticker. 3". 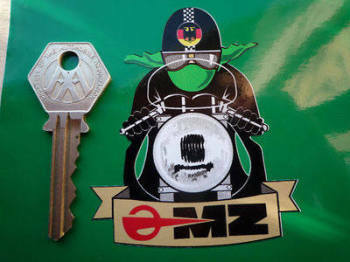 MZ East German Motorcycle Black, Green & Clear Stickers. 4.5" Pair. 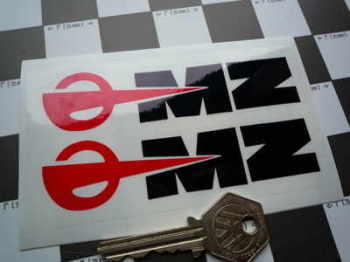 MZ East German Motorcycle Black, Red, & Clear Stickers. 4.5" Pair. 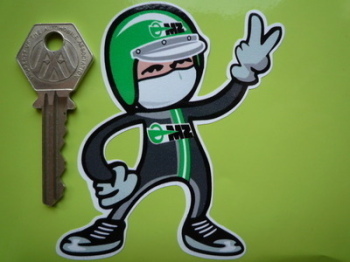 MZ East German Motorcycle Green & White Stickers. 4.5" Pair. 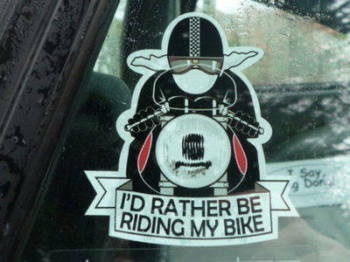 MZ Rider 2 Fingered Salute Sticker Green or Red. 3.5". MZ World Trophy Winners Flag & Scroll Sticker. 3.75".